The 6SU7 is a tube of renown for those of us who need 6SL7s. Inexplicably -- I have a pair here... I have no idea where they came from. I haven't had the courage to actually try 'em in the "Simple 2A3" amp, mostly because they're not all that easy to find (IME). Agree with Brock on the Tung-Sol's. One of my favorite 6sn7 and 6ak5 tubes. 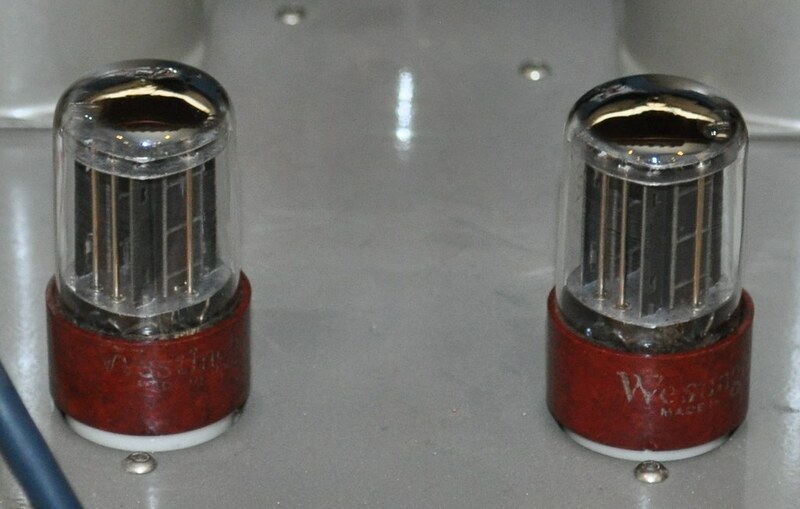 If i could afford the Tung-Sol round plate 6sn7 tubes I'd have a pair but they are well out of my reach. My favorite pair of 6SL7 tubes are a 1951 pair of Tung Sol 6SU7GTY, round black plates. Tight tolerance from the factory! What a superb sounding pair of tubes. Pricey (not as pricey as the 6SN7 version) but worth it. The early CBS 5814 bp with the flat ladder plates vs. the notched plates is a stellar 12AU7 equivalent. The later ones tend to not be as magical as the earlier ones. Thank you SIR H9! for leading me to the Tungsol 6SU7GTY tube....absolutely the best 6SL7 variant to my ears out there....on another note RCA 5691 and the 5692 tubes are also fantastic! Also probably one of the best also is the 50's Brimar CV1985 from the STC Foostscray plant. I also have a rare pair of 1957 Valvo Hamburg 6SL7 with tall sliverish plates that are superb as well. In case anyone is interested? Actually not a bad deal. They usually sell for $300+/pr. Just read this interesting thread. I saw DSkip mention the JJ 12AU7. They're one of my favorite U7. I had some really good NOS including Siemens long plate and Mullard, but I found the JJ was as enjoyable as the vintage tubes. On my system and ears, the JJ sounded similar to Mullard but had a more colorful presentation, like vocals sounded very rich and the overall sound was pleasantly warm. I love the JJ's. I've stopped rolling vintage tubes, but for those using modern production, do you guys notice a "house sound" with different brands? For example, when I purchase Electro Harmonix, no matter the tube type, I already know what kind of sound to expect. EH have a very strong, open and neutral sound. JJ's are always warm and more tubey. I hate when a couple of tubes just hang on the edge and don't light up quite as much as the others. They're sitting there watching me, just trolling... waiting for their opportunity. Hate that! you would not like vintage 2A3s. They barely light up at all. LOL, I remember getting those kinds of tubes a couple of times on EL34. 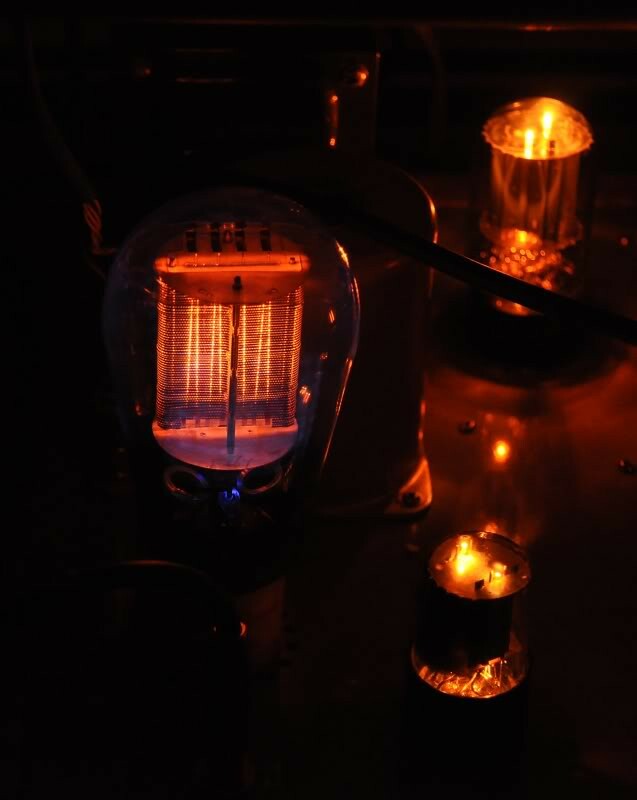 Depending on how the filaments were placed, sometimes one tube out of four on the amp would look like it's not glowing as much. The current production Sovtek 2A3 also doesn't light up much at all. On the other hand the Sophia/TJ 'meshplate' (perforated plate) 2A3s kind of took things to the other extreme. Goofy looking tubes, but they do sound good. Looks like a little toaster. The one in the back looks like a jelly fish. That's cool too. heh - never thought of a 5V4 lookin' like a jellyfish (in the dark) -- but I see your point. A 2A3 would make a pretty good (albeit small) toaster.